Show your Lowell School spirit! We invite you to shop as a guest or create an account for easier repeat shopping. Either way, we hope you find what you're looking for. If not, be sure to let us know! Check back often as we update items seasonally. The store can not ship merchandise at this time. All items must be picked up at school. Items can be sent home in children's backpacks if special instructions are given. 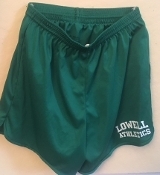 To view products click on "Spirit Wear" or "Lowell Athletics" link. 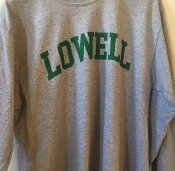 Show your school spirit with the 2018-19 LOWELL tee!